Oh believe it or not, but Canada, one of the coldest countries on Earth, is going to set us an example this Thursday, February 17: It’s holding a national sweater day. It’s target is that 150,000 (or more) Canadian families turn down the heat on the day by 3°C and putting on a sweater. What an amazing act to fight against climate change! Sweater yourself on Facebook with their app. Dress up your profile picture and show your friends that you’re serious about fighting climate change. Bid on a designer sweater, donated by leading Canadian designers. All proceeds go to WWF. Join us in this stance against climate change. No longer living in that ‘freezing’ country, I’d like to help my fellow-Canadians! 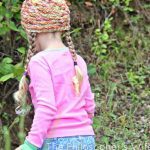 I am featuring a free, warm knitting pattern!!! Fashionable too! This knitted cardigan aka jacket is a super-fast knit as it uses the thickest knitting needles I’ve ever used: 10.5, chunky wool and simple knitting techniques. Ideal beginners knitting pattern. You’ll love it. & the purpose. Where fashion makes sense. To obtain your copy of this sweater dress / knit cardigan knitting pattern, please join our daily newsletter using the pink sign-up box on the top right of this page. After you confirmed that you are you by email, you will receive my exclusive overview of excellent craft & DIY resources, including this knitting pattern. We have been steadily turning our heat down for a couple of years now… Add socks and layers… It’s not so bad! In fact, we all prefer to sleep much cooler now! How do I subscribe to the newsletter to get the free knitting pattern? How can I get a copy of the red knitted cardigan using size 10.5 needles. I cannot find a place to get this pattern and would really love to try it! Why do I have to subscribe to a free newsletter every time I want a free pattern? If you where from Canada, then you know that it is not freezing all of the time. We are soooo lucky to live in a great country that has 4 seasons. Yes 4 different seasons. Love it. On another note. I like this site. Some interesting and informative info. Well, Allie, thank you . I am pleased you like this site. I made it for you, my reader. And, for the record, as I mention in the article, I AM CANADIAN and I’m proud of it. Yes, it is not always freezing everywhere all the time.. You are right. It always was just much colder in Vancouver than in Rome, Italy, and the little plant that is me, loves the warmer client. So, I’m happier now.. I hope this explains my clowing-around comment re ‘freezing’. Actually, this article is HONORING Canada; not meant as putting it down. I wanted to showcase how enlightened us Nordic folks really can be! Role models ! If Canada can take on this “heat-down, sweater-on”- initiative, well, then the rest of the world can too, much more easily. .
I’m looking forward to come to Canada for a visit in a couple of weeks, to enjoy its second to none art and craft. 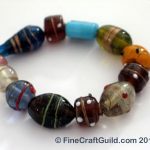 I’m planning on treating our FineCraftGuild readers with the creative craft scene of Vancouver. And if I’m lucky. I get to meet some nice bloggers too.. Where are you based? I want this sweater but even though I subscribed I still can’t figure out how to get it. 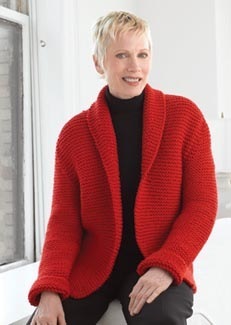 hi everybody :) i just love this red jacket with the beautiful shawl collar, trying to get the pattern but just seem unable to donwload it from anywhere… please help ? :) thanks tons :) i’m living in italy but winter can be cold here ! not as much as in canada, though ;) thanks to you all !!! Hi Jennifer, all you need to do is sign up for our newsletter. Then the pattern will be automatically send to you, that is, after you click the confirmation link in the email you’ll receive. I am in Italy also, in Rome to be exact, it can get cold. If you make it in orange/red, aka tangerine tango color, you’ll be all hip for Fall. Youa re talking about a pink box at the top of the page where I can sign up for the newsletter. I ca’t find such a box. Please help. I really love the shrug and red jacket patterns, and would really like to receive them. Im looking forward to receiving this beautiful cardigan/jacket pattern and your newsletter.